Josh Moon is completing his fifth year as Director of Athletics at Northern State University. The focus of Moon’s tenure has been on providing a championship experience for all student-athletes: athletically, academically, and socially, and establishing a culture of excellence throughout the department. Moon has been instrumental in increasing annual support to NSU Athletics through the Wolves Club, with a record-breaking $2.1 million raised in 2015-16. Moon has also led numerous facility improvements to the Barnett Center, including the Kretchman Hall of Fame room renovation, development of the Official Wolves Nike Team Store, and numerous graphics and displays recognizing the outstanding achievements of NSU student-athletes throughout the Barnett Center. The $3.2 million Barnett Center addition was completed in the summer of 2012, and Moon was responsible for the final stages of the project including securing new strength and conditioning equipment for the 10,000 square foot weight room. The Wautoma, Wisconsin native has a Bachelor of Science in business administration and a Bachelor of Science in exercise and sport science from the University of Wisconsin - La Crosse where he was a 3-year letter winner on the football team, 1st-Team All-Conference Defensive Back, and was part of 2 Wisconsin Intercollegiate Athletic Conference Championship teams. He earned a Master of Science in Administration degree from Central Michigan University in 2006. Moon began his career as a Media Relations and Business Operations Intern at the Minnesota Intercollegiate Athletic Conference in St. Paul, MN in 2003. Josh and his wife Andria, an Assistant Professor of Elementary Education/Early Childhood at NSU, are the parents of two boys, Brady, 9, and Kellen, 5. Dr. Andria Moon is an Assistant Professor of Elementary Education at Northern State University in Aberdeen, South Dakota. 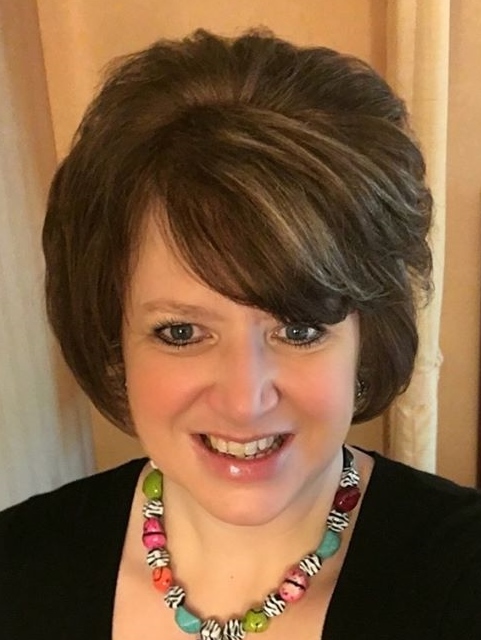 She received a Doctor of Education in educational leadership in August 2011 and a Master of Arts degree in educational technology in August 2007 from Central Michigan University, and a Bachelor of Science degree in elementary education and early childhood in May 2004 from the University of Wisconsin-La Crosse. She teaches courses in elementary and early childhood education. She also supervises teacher candidates and works closely with local elementary schools, even teaching one of her university courses in a local elementary school classroom. She is a member of the National Association for the Education of Young Children (NAEYC), and has been the advisor for the local NSU AEYC student group. Dr. Moon is also highly involved on campus serving on a variety of committees including: Faculty Senate, Common Read, HLC criterion 4, iPad initiative, Northern Way, and Campus Activities. Dr. Moon has also organized Faculty-Led trips to Italy and Greece. She is passionate about helping students reach their full potential including her own two sons, Brady (9) and Kellen (5). She is married to Josh Moon, NSU’s athletic director. Jim Ragatz is a life-long South Dakota resident and is currently the Accounting Manager for the Midstates Group, a family-owned group of companies that includes Midstates Inc and Quality Quick Print in Aberdeen, SD along with Panther Graphics LLC in Sioux Falls, SD. Jim is a graduate of Doland High School and Northern State University, where he earned his Bachelor of Science degree in the fields of accounting and management. Jim is active in the Aberdeen community and is a past chair of the Northern State University Alumni Association and past chair of Kids Voting Aberdeen. He currently serves as chair for Kids Voting South Dakota. Jim is also active in the National Exchange Club, where he is currently a past president of the Aberdeen Exchange Club and is President Elect of the Dakota Territory District Exchange Clubs, serving as President in the 2017-18 club year. Jim is also a past member of the finance committee at First United Methodist Church in Aberdeen, SD. Jim and his wife Rose are active with the International Student Friendship Family Program (FFP) at Northern State University. The goal of the FFP, as stated on the NSU website: “Spending time with community families is intended to improve the student’s stay in the United States through American experiences with a family, practice speaking English, and creating international friendships”. Jim became acquainted with William Deng through the Friendship Family Program at NSU. He has been working with William to help support the Deng-Foundation and its immediate goal of building and staffing a fully equipped medical clinic in South Sudan, Africa, and helping to defeat the spread of malaria and other diseases in the region. Greetings to all! I am Matthew Remmich, officer of the Deng Foundation. I grew up in Pierre, SD where I attended school and graduated from T.F. Riggs High School in 2012. I am a recent graduate of Northern State University with a bachelor's degree in History Education. I plan to continue my education and obtain my master's degree in history so that I may offer dual credit (high school-college) classes in my future classroom. I am also currently enlisted in the South Dakota Air National Guard, 114 Fighter Wing in Sioux Falls, South Dakota where I work in Munitions Systems (AMMO!!). I was brought to the Deng Foundation by the founder, William Deng after bible study one day. We began speaking about his new charity and I discovered his passion for helping his people back in South Sudan. I fell in love with his mission and was thrilled when he asked me to become a part of it. I am excited to begin our journey toward providing better health care for our brothers and sisters over in South Sudan. Let's work toward defeating malaria! My name is Emily Sell, I grew up on a dairy farm in Watertown, Wisconsin. I have a Bachelor's Degree in Staff Ministry and Elementary Education from Martin Luther College in New Ulm, MN. In 2011 I moved to Aberdeen, where I taught at Trinity Lutheran School in Aberdeen for four years, worked at the Aberdeen Chrysler Center for a year and a half, and I recently began work as the Athletic Department Assistant at Northern State University. I am engaged to be married to Duane Suedmeier this coming May. I first became familiar with the Deng Foundation when I was at a presentation that William gave to a local youth group. His message really spoke to my heart, so I reached out to him to offer my help however I could. I am so excited to be a part of a group that will make such a huge difference to the people of South Sudan. Stacey Schmidt is the International Student Coordinator at NSU. She has worked with the Office of International Programs for 10 years. She serves as the mom to over 200 international students each year. She provides immigration information and deals directly with all partner institutions around the world. She is married to her husband Todd and has one son Lane and three step children, Brandy, Brad and Taylor and seven step grandchildren. Jack is a World Economic Forum Global Shaper and 2017 Echoing Green Fellow. He is the founder and Creative Director of Lab 300, a full service creative agency that specializes in sustainable web design practices for cause driven companies, organizations, and artists. Jack is also the founder and CEO of the Web Neutral Project, a comprehensive certification program that calculates, offsets, and neutralizes the carbon footprint of websites and digital products. Jack's companies have been recognized by and/or partnered with the United Nations Global Compact, EPA Green Power Partnership, Clinton Global Initiative, Echoing Green, and Sustainable Brands. Jack's position as a board member for the Deng-Foundation consists of consulting and overseeing organizational design, branding, digital management, and creative direction.